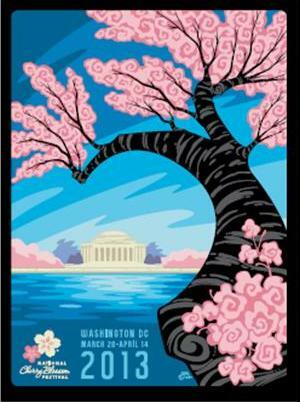 Nothing marks the beginning of spring in the nation’s capital like the National Cherry Blossom Festival. This week, events to celebrate the 101st anniversary of the gift of the trees will begin. Over the next four weeks more than one million people are expected to visit Washington to take part in parades, parties, exhibits, performances and, of course, to see the cherry blossoms in full bloom. Many of those visitors will travel by motorcoach. There has been a lot of attention lately on the Federal Motor Carrier Safety Administration’s crackdown on inadequate bus operations. One of the most recent actions revokes the operating license of Ming An, a carrier that sells cheap rides to cities in Virginia, Georgia and Florida. FMCSA found that the company failed to conduct pre-employment drug and alcohol testing, allowed unqualified drivers to operate their vehicles, and did not conduct vehicle safety inspections, all of which federal regulations require. While cost is often an important issue when choosing a motorcoach carrier, it should not be the only concern. There are plenty of low cost carriers that do not sacrifice the safety of their passengers in order to offer a low fare. Check the operators’ recent Federal safety rating. Look for operators with vehicles that offer enhanced occupant protection systems such as lap and shoulder seat belts. The US Department of Transportation maintains the SaferBus smartphone app to assist consumers with making a safe choice. For decades, the NTSB has been concerned with the operations of bus companies. The NTSB has investigated numerous accidents in which we found that an important step in improving bus safety is to ensure that professional motorcoach drivers are qualified. The NTSB recommends that bus operators should review a longer, more comprehensive driving history during the recruitment/hiring process and use video event recorder information to assess on-the-job performance. Bus operators require government authority, their drivers require professional driver’s licenses, and their customers pay for service. Accordingly, bus passengers deserve the highest level of safety. For additional information on the NTSB’s accident investigations and recommendations to improve bus safety visit the Most Wanted List web page, Improve the Safety of Bus Operations.